Now that Google's much-leaked new Pixel 3 and 3 XL are available for pre-order, it's time for the annual deliberation over whether to purchase the newest hardware. 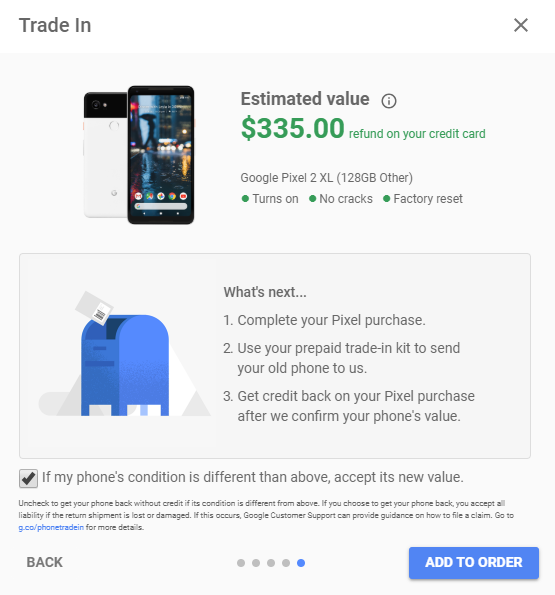 Here's something to factor in: the trade-in values for the Pixel 2 and 2 XL, up on the Google Store and Project Fi now. The Pixel 2's trade-in value is $300 for a 64GB device in good working condition, while the 128GB device is worth $327. For the Pixel 2 XL, a good condition 64GB device is worth $325, while the 128GB variant can net you $335. With pricing starting at $799 for the Pixel 3 and $899 for the Pixel 3 XL, those trade-in values could take a significant chunk off the overall price of the smartphone, though many Pixel fans are noting they're not as tempting as Pixel trade-in deals from previous years. Trade-ins are also available for select devices from Apple, Samsung, LG, Huawei, and Motorola. 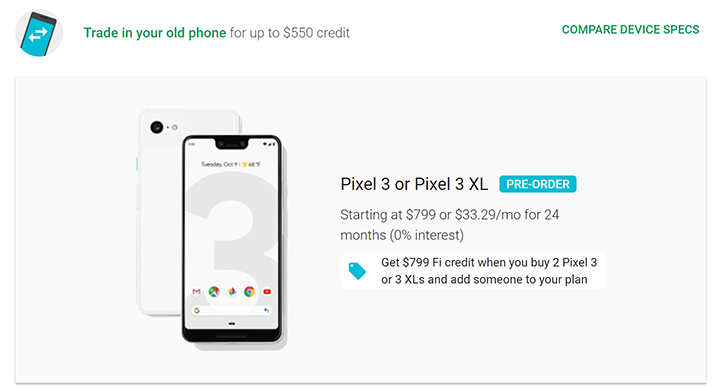 The Google Store states it's possible to earn up to $400 in trade-in credit, while Project Fi advertises up to $550.